Valentines Day is around the corner and and we’re giving you the chance to win popcorn for you and your valentine (so you don’t have to share). 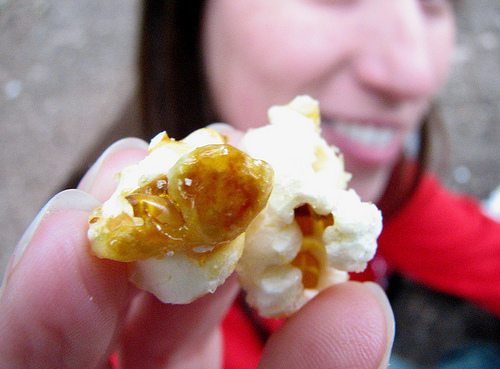 All you have to do is write a post on YOUR Facebook wall, telling us who you’d give Popcorn Palace popcorn to. In order to be eligible to win, YOU MUST TAG Popcorn Palace and the person you’d want to win. If you tag us correctly, your post will show up on the Popcorn Palace wall and on Feb 3, we’ll randomly pick our winner. Voting (liking) will close at 11:59 pm (CST) on Feb. 3, 2012. Winner will be contact via Facebook. Once notified, winner is responsible for responding with their postal addresses, email addresses and phone numbers (for our shipper). Postal addresses must be submitted within one week (seven days) of notification. This promotion is in no way sponsored, endorsed or administered by, or associated with, Facebook, WordPress or Twitter. You understand that you are providing your information to Popcorn Palace and not to Facebook, Twitter or WordPress. Employees, interns, contractors and vendors, as well as their immediate families, of Popcorn Palace, its affiliates, and any representatives or agencies of Popcorn Palace or other persons professionally connected to the Contest are not eligible to participate. Popcorn Palace’s fundraising program just got better! If this is your first time here, welcome to our new blog! As you’ve probably noticed, in the last week we announced and launched our new-look logo, website, tag line (A Heavenly Experience) and packaging. With the rebranding comes a NEW fundraising program that makes it even easier and more profitable for organizations to raise funds. As always, our fundraising program has no up-front costs, no minimum orders and the experienced staff are ready to help with all of your fundraising questions and needs. Win popcorn for a year! 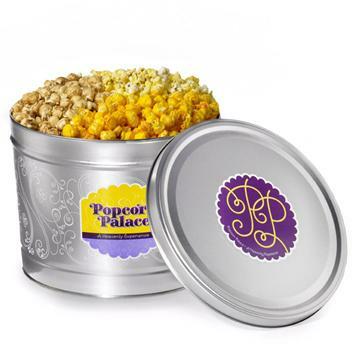 Popcorn Palace, as you can see, has rebranded, retooled and reimagined everything from our logo and website to our flavor selections and fundraising program. And to celebrate the new Popcorn Palace, we’re giving one lucky person an entire year’s supply of popcorn (a one year subscription to the Popcorn Palace Flavor Calendar Club). Each one of our first 365 tins of popcorn ordered has a QR code on it inside the tin lid. All you need to do is use your handy QR Scanner (Just search for “QR Reader” in your smart phone app store/marketplace) to scan the code and you’ll get shot off to our entry form. That means that there are only 365* chances to enter. What do you think of our new logo, design, website and blog? *An additional 35 entries will given away through our Facebook page. For the last three months, Popcorn Palace has been picking a monthly fundraising winner and now you get to pick our grand prize winner! Each month’s winner has won $250 for their cause and the winner you pick will win an additional $250! 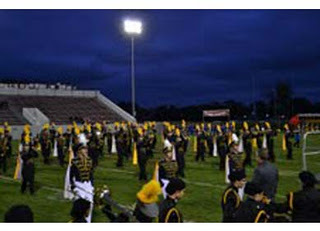 The Fairmont Music program is trying to raise $180,000 so that they can perform at the London Festival of Music in April 2012. ““Our biggest challenge every year is money. We do not receive financial support from our school beyond classroom necessities, so it is up to the students to raise money for their uniforms and competition costs.” – read more. The band raises money so that everyone has the same opportunity to go to trips such as New York City, Disney World and Detroit’s Thanksgiving Day Parade. “Our dedication goes beyond driving the band members to competitions, games, concerts, and community work.” – read more. Located in Chicago, Illinois, Midwestern Christian Academy offers excellent Christian educational curriculum for Jr. Kindergarten through 8th grade students. As many other private schools have closed or are in danger of closing, MCA has not only survived these tough economic times, but has flourished. 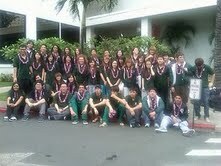 They depend on outside resources, such as fundraising, to maintain programs and make improvements to the school. Serving as an educational ministry of Midwest Bible Church, MCA has provided a balanced traditional academic program with a Christian emphasis for over 50 years. MCA is focused on developing the whole child. Recognized and accredited by the Illinois State Board of Education and the Association of Christian Schools International, MCA’s purpose is to provide a quality education, while challenging students to develop physically, intellectually, spiritually, and socially. In addition to the recent advances in curriculum, MCA also offers extracurricular activities such as: girls and boys basketball, girls volleyball, boys soccer, drama, puppets, band, computer, music, and choir. All curriculum, activities, and programs are under the guidance of God and His Holy Word.